Week 1: We colored ancient maps with current countries and made fishing nets. Mesopotamia, Sumer, Assyria, The Fertile Crescent, Iraq, Babylon, The Cradle of Civilization and Persia are all names which refer countries, cities, land or empires in the same region. The best name to refer to is selected by the time period and the people who were in charge. The kids were introduced to the area with this 14 minute cartoon. Ancient Mesopotamia is another video that gives a very good overview of the region. Blackline Maps Of World History: The Complete Set 5000Bc-Present is a book of ancient blank outline maps from various time periods and regions of the world. Since the land area we are studying for history was ruled by several different peoples, there are many maps in the book referring to this region. We copied the page on Mesopotamia and sketched in the countries that currently are located in that region. Each week we will copy a new map to see how the cities and empires change. One of the food staples in Mesopotamia was fish. For this reason, the kids were asked to create a fishing net. I handed them a ball of twine and told them to design and build it however they wanted. My son laid several strands of twine out on the floor and then taped them down. He wove three pieces of twine through his base pieces; one at the top, one in the middle and one at the bottom. Then his net was finished. He was very proud, but I'm not convinced it will catch any fish. I do think the concept is valid. If he wove more cross threads and had a net which was more square it probably would work. When the weather gets warmer we will have to take a trip to a lake for some testing. My daughter constructed her net with knots. A few years ago we saw a lady creating a similar basket at a Roman Festival. She remembered seeing the demonstration and jumped right into tying knots. Please join us each week as we continue our studies of Mesopotamia. If you aren't already signed-up to receive email notification of new posts, now would be a great time. You can sign-up on the right-hand side of the blog. 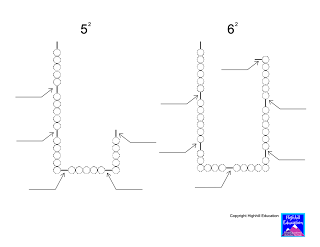 Learning about square numbers at first glance may seem like a concept for the upper elementary years, but it can be introduced to children who can count from one to one hundred. My five year old zoomed through these free printables I created and now can tell me her numbers squared from 1 to 10. All she had to do was count the number of circles and write the number on the line. The last line in the chain was the answer. Feel free to print them for your personal or classroom use. Are you considering homeschooling but aren't sure you are ready to make that leap? When we were thinking about homeschooling I read many books. There were three books that greatly shaped the way we homeschool, but only one that convinced me to do it. Here are my favorite homeschooling books. Not sure if you want to homeschool? This is a great book! You know you want to homeschool, but aren’t sure what curriculum to purchase? You want to Homeschool using the Charlotte Mason Method. This is a great book to get you started. Five bloggers are writing for the Homeschool Help series. If you're thinking about homeschooling be sure to check out their reading recommendations too. With so many homeschooling books available, Chareen at Every Bed of Roses recommends a few that have withstood the test of time. Bernadette at Barefoot Hippie Girl has found some books to help along the homeschooling journey. Find out what Savannah at Hammock Tracks considers the Holy Trinity of homeschooling books. Hwee at The Tiger Chronicle has some recommendations for parents beginning to homeschool at different stages of their children's lives. To receive email updates of new posts please sign-up to follow Highhill Education by email on the right-hand side of the blog. Homeschooling has worked very well for our family. The kids are happy, challenged, and best friends. It's a lot of work and I would do it over again in a heartbeat. Week 1: We modeled the Oxygen-Carbon Dioxide cycle. Now that we are finished with our Cell Unit Study we are moving onto the rest of the human body following The Way We Work by David Macaulay. Trees and plants take in carbon dioxide and give off oxygen. Humans breath in oxygen and exhale carbon dioxide. While inside the body red blood cells exchange oxygen molecules for carbon dioxide molecules as they travel through the veins and arteries. This continuous cycle supplies us with the oxygen required for life. For this week's project I gave the kids some marble and track toys and asked them to make a model of the carbon dioxide - oxygen cycle. I was super impressed with what they came up with and how fast they did it. The forest is represented by the green cylinders in the upper left of the model. The blue loop leading from the forest enters the human body and passes through the black and yellow square (lungs) before returning to the forest. This is the track for the oxygen molecules leaving the forest and the carbon dioxide molecules returning to the forest. The green funnel is the human head, and the red piece is the heart. The black and yellow square is the lungs. The blue tracks which aren't part of the loop are arms and legs. The black track is meant to represent the veins and arteries inside the human body. It travels around the body and also passes through the lungs where the oxygen and carbon dioxide enter and leave the body. The red cylinders on the track are the red blood cells that deliver the oxygen and pick up the carbon dioxide. The assignment was simple "use the tracks to create a model of the carbon dioxide - oxygen cycle". I think they liked it because they used creativity and engineering to come up with their own design. I liked it because it was simple and they understood the concept. We have many more human body science activities coming up. There are three ways to receive notification of new posts; Like us on Facebook, sign up to Follow by Email, Join the blog. There are buttons for all three on the right-hand side. One of the few things my mother saved from my elementary school years was a book I wrote about myself. We all laugh when reading this book. I wanted to create a keepsake for my kids as well as create a fun writing assignment. The result is My Book About Me. Please feel free to print it out for personal or classroom use. In our house most of the schooling is completed in the morning. After lunch we go for a walk. Afternoons are usually spent at music lessons, dance class, doing history or science projects, or playing outside and with friends. Evenings are for free time, computer time, bathing, and reading with mom before heading off to bed. For the school day I put together a daily task list for each of the kids. The lists are complete several months out for some subjects, and for the entire year in others. This was a huge undertaking, but has helped create a smooth flow to the day. 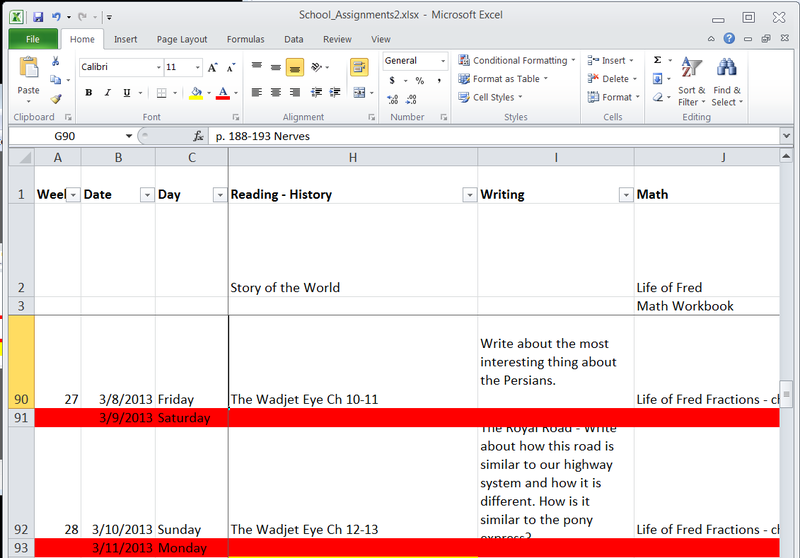 The kids know what to expect and can see upcoming assignments. Because they know what to do they can start their school work as soon as they are ready. My six year old's tasks are always the same. She has a list taped to the door and chooses five items from the list to complete each day. The kids only do a selection of these tasks each day. Many of their assignments can be completed on their own. Having it all written down in a spreadsheet enables them to begin working without my help. I try to spend 30 minutes to 1 hour with each child doing one-on-one activities each morning, but that rarely happens. Usually I spend 1 hour with two different kids each day. Scheduling the appropriate amount of activities is a real trick. My main goal is to keep them engaged, challenged and learning each day, while limiting book work to the mornings. Reading, writing and math are the priority subjects. 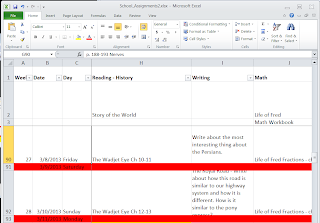 The kids currently work diligently each morning and are slowly getting farther behind on their schedules. The problem is that I have scheduled too many things. In the past I've not scheduled enough. My plan is to leave a blank week or two to get caught up. The kids know that when the list is done for the year, school is done. If you haven't signed-up to follow Highhill Education by email yet, now would be a great time. Just type your email address into the box on the right-hand side of the blog. Now it's time to see how the other writers taking part in the Homeschool Help Series manage their day. See how Savannah at Hammock Tracks handles chore lists, meal planning, school work and extra curricular activities. Bernadette at Barefoot Hippie Girl uses rhythm to stay focused. Chareen at Every Bed of Roses has learned to balance tight schedules and flexibility. Hwee's day at The Tiger Chronicle has evolved from one of formal schedules to loose structure. Seterra is a great way to reinforce geography. Users race against the clock to see how well they know geography. There are several set-up options ranging from identifying the seven continents, European capitals, African Flags, Asian countries, to European rivers. It took me two and a half minutes to identify only 42% of the European rivers correctly. My daughter brags about how she can identify 70% in only one minute. I think she needs more practice and I need a major review. LOL. 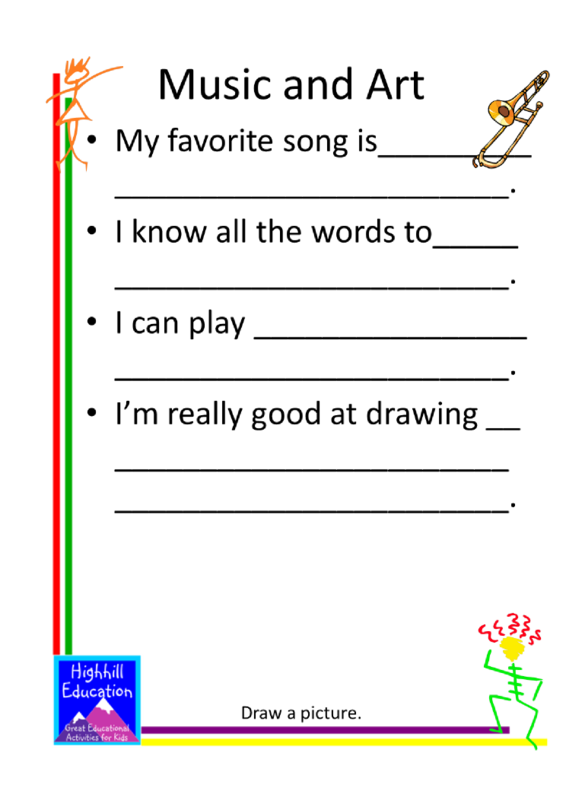 The kids like playing this game and so do I. Five bloggers with different backgrounds from around the world will be writing on the same educational topic each week. 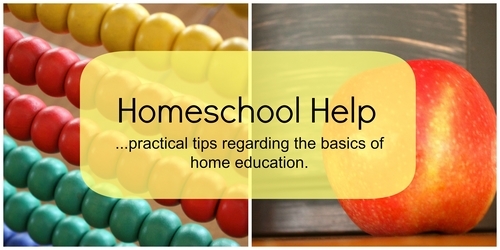 This new series called Homeschool Help should be interesting for parents, grandparents and educators alike. Location, educational methods, philosophy, goals, family circumstances, family size and children's ages are all factors which make education unique. This series will combine five different perspectives and give us all new ideas for accomplishing our goals. Hwee originally from Singapore, now living in the UK writes about her son's educational journey at The Tiger Chronicle. Chareen at Every Bed of Roses, born in South Africa now lives in Victoria Australia where she home schools her three children ages 19, 17 and 7. Her husband is a zoo keeper and she is a Christian who loves books, scrapbooking and encouraging other homeschool moms. Bernadette was home schooled and so was her husband. Now she homeschools her three oldest children in grades 5th, 3rd and K. She writes about life, fitness, cooking and God at Barefoot Hippie Girl. Savannah, mother of four, has graduated two of her children and home schools the other two. She blogs about life, food, and homeschool at Hammock Tracks. I'm Julie from Highhill Education, an American mother of three living in Germany. Hands-on projects and great books keep my 6th, 4th and K busy throughout the day. During the past year Leukemia has turned our life upside down, but we are getting through. May 14 - Homeschool Co-op - Are You Involved? May 21 - Local Homeschool Group - Are You Involved? August 27 - How do you teach Poetry? September 3 - What are you and your kids reading? September 10 - Journaling - Art Journal? Math Journal? September 17 - History - How do you teach it? November 5 - School Year Round? November 12 - Do You Give Grades? November 19 - Burnout - What Do You Do? December 10 - Year in Review - What Do You Want to Remember? To find and view the posts in this series please visit my Resources Page. In March of 2012 we made English Christmas Pudding. Since it's made nine months before it's eaten we didn't know what to expect at Christmastime when we tried it. Well I think we will make it again this year. It was very sweet and a fun treat. The pudding is a mix of dried fruits, butter, bread crumbs and brandy. ...... and lit on fire. What do you think they are doing? Writing secret messages to each other of course. My eleven year old has been fascinated with secret codes since she was about seven years old. She just recently introduced them to her brother. They spent the day creating their own codes and writing messages for each other to decode. She has two books that have taught her a bit about secret codes. Lu and Clancy's Secret Codes by Adrienne Mason and Code Busters! by Burton Albert, Jr. I think this is a great activity because it involves many math and logic skills. Codes are really complicated patterns. Figuring them out takes a lot of thinking and logic skills. We have been studying Ancient Greece throughout the school year. In conjunction with our studies the kids have completed many writing assignments on this list, but not all of them. Frequently they were given a choice of topics. Most of the assignments only made it through to a rough draft. Two were polished into final papers. - You are a worker constructing the Minotaur’s labryinth – How did you design it? Why did you do it that way? What materials did you choose? Tell what decisions you make. How did you design the maze? - You are a potter decorating a Minoan vase – What are you painting? What colors are you using? What happens while you are painting? - You are a painter decorating a Minoan palace – What are you painting? What colors are you using? What happens while you are painting? - You are a Minoan trader – Tell about your goods and where you are going? Tell the story of what happens during your journey. Who is with you? What happens? - Write an article for a newspaper entitled "Yesterday's Bull Riding Extravaganza." - Create a travel advice article for people traveling to Knossos, Troy or Mycenae. - Where do you think Atlantis is? Why? - If you were an archeologist searching for Atlantis what would you do? Write down your plan and your back-up plan if the first one doesn’t work out. - Pretend you are either Odysseus or his wife. What happens after you kick the suitors out of the house and reunite with your wife? - You are traveling with Odysseus. Write about one of your adventures. - Select a temple and Create a tourist brochure for your temple. - You are an athlete – What is your sport? How do you train? Who are your competitors? What are your chances of winning? - You are an athlete – Tell the story about what happened when you met one of the athletes from another city state. How was the meeting? Were you friends for life or mortal enemies? - Is the American Election Process fair? Why or why not? If not, how would you change it? - You are leading a Helots revolt. Tell your story. - You are a Helot soldier fighting against the Spartans. Tell your story. - You are a Spartan woman making clothes, what kind of clothes are you making? Where do you get the material? Who will wear them? - You are a hungry Spartan boy – What do you do and how does it turn out? - You are the Spartan Army chef – Write about your day – what will you serve? Where will you get it? - You are a worker building the Parthenon. Tell your story. - You are a Greek boat builder – What kind of boat are you building? How is it constructed? How big is it? What will it be used for? - Make up a story about a pretend disagreement between Themistocles and Aristides. - Why was Themistocles a successful leader? How did his leadership skills help him to get what he wanted? Think about how Themistocles got Xerxes to leave the country. - Would you prefer to be governed by Themistocles or Aristides? Why? - Write about how Greek sculpture influenced the art we have today. We enjoyed many books and videos in conjunction with our study of Ancient Greece. Here are our favorites. Our young folk's Plutarch - This is a book of biographies of famous Greeks and Romans. We read several different chapters while studying the Greeks. The Trojan Horse: How the Greeks Won the War - Beginning reader book good for K-3rd grade. Odysseus And The Cyclops by Warwick Hutton - Picture book good for K-3rd grade. The Odyssey by Adrian Mitchell - DK picture book of the Odyssey. Good for 2nd-4th grade. Tales from the Odyssey series by Mary Pope Osborne - Simple chapter book good for 2nd-4th grade. The Children's Homer by Padriac Column - Written with rich language this book is good for 4th-8th grade. The Iliad for Boys and Girls by Alfred J Church - Detailed retelling good for 4th-8th grade. Natgeo – Finding Atlantis2011 – There are many different theories regarding Atlantis. We enjoyed learning about this one. My son really struggled with Greek Mythology until he watched this series of videos. He is a very visual learner and could tell me about each god after watching. We then went back and reread the myths. History Channel – The Rise and Fall of Sparta Part 1 – 1 hr, 30 min - This video contains everything in the Ancient Warriors - The Spartans and so much more. Athens: Ancient Greek Supercity - This video focuses on Pericles and the Parthanon. There are several youtube videos from the History Channel on Alexander the Great. I would highly recommend checking them out. Please visit our History Page to see the activities we did to go along with these books. 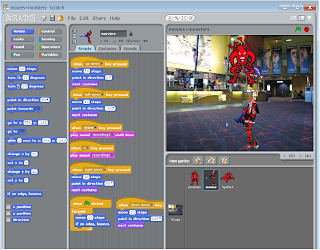 The kids created more computer programs using Scratch, a free tool to teach computer programming skills. First they watched Lesson 2 - Sensing and Events, and then played with the software to try out what they learned. My son created the program called Movies and Monsters. He set the following keys on the keyboard to control the monsters. 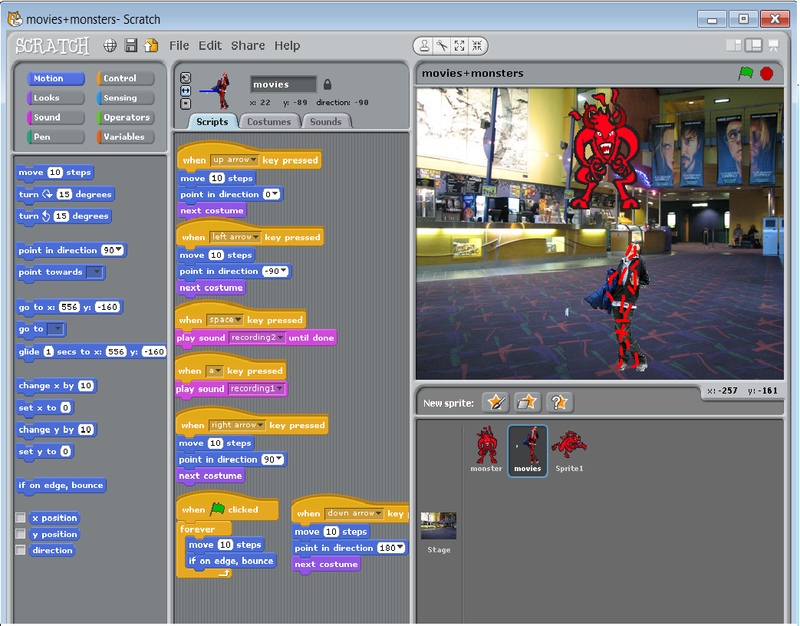 This is my son's second program and I'm very impressed with the quality of this free tool. My daughter created an octopus who chases a star around the screen. 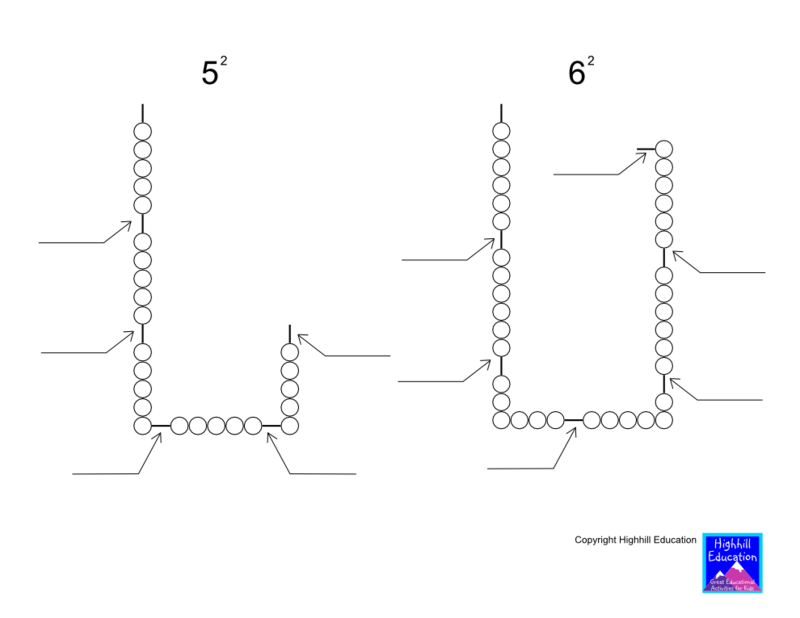 The star is set to move to a new random spot on the screen every second. The octopus always points toward the star and tries to touch it. If he does, the octopus opens his mouth and the star disappears. 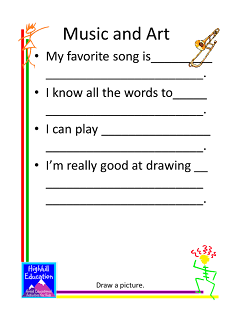 To create this program she had to import, and modify existing graphics as well as learn about different functions to control the characters. The ancient Egyptians, people of Mesopotamia and Ancient Chinese all made their own paper. My eleven year old daughter has been asking me for years to do a paper making project. I have resisted this project because I'm not very good with wood working and a frame is required, plus the instructions she wanted to follow said to put the paper in a blender. Well I wasn't excited about that either. Over our Christmas break my son stumbled across the same paper making project my daughter had been desiring and said he wanted to make paper. Well they couldn't wait any longer and the project began. I was pleased that they found different solutions for both of the issues I was concerned about. Instead of a wooden frame, they created one out of a cardboard box. It only lasted through one paper making process, but I don't think this is something they wanted to do frequently anyway. They just wanted to try to see if they could make their own paper. The fabric was pulled tight and stapled around the box lid. Then scrap paper was ripped into small pieces and mixed with hot water. Instead of placing the mixture in the blender, they put it into an old juice container. It had to sit there for three hours and be shaken every 30 minutes. Next, the water-paper solution was poured onto the frame to drain the water. Then it was flipped onto a sheet of wax paper. They put another sheet of wax paper over top and used a rolling pin to squeeze out the excess water. They placed the paper next to the heater and a few hours later it was dry. They could even write on it. I was super impressed with my kids innovation and engineering ability on this project. I had absolutely nothing to do with it. It fits in with our history studies, and is a great craft and science project too. Maybe I will have to stop teaching them, so they can start teaching me?